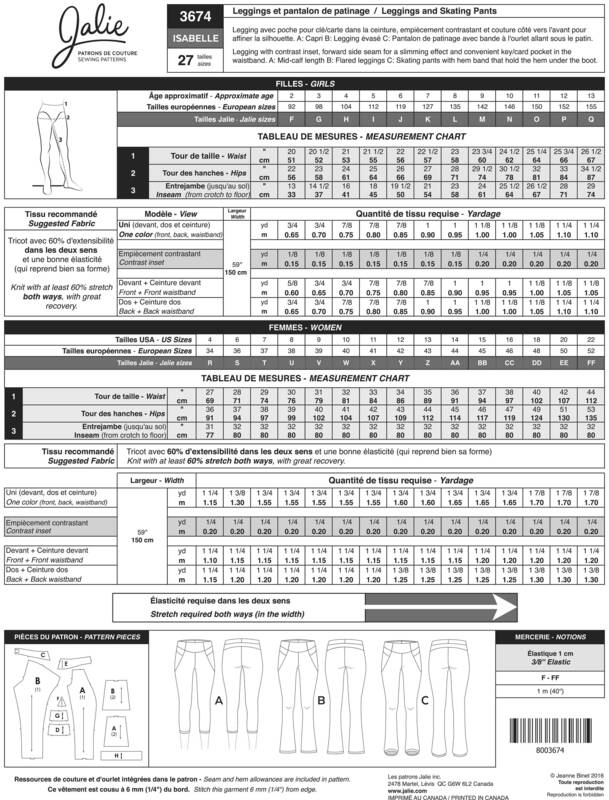 Package includes patterns and instructions to make leggings with contrast inset, forward side seam for a slimming effect and convenient key/card pocket in the waistband. View A: Mild-calf length. View B: Flared legging. View C: Skating pants with hem band that hold the hem under the boot. Great for and Dance Practice too!